The patent was awarded by the United States Patent and Trademark Office for Ideum’s new method of using extruded aluminum to fabricate rugged enclosures for our multitouch displays. Ideum is very pleased to announce that the company received a hardware patent on March 5, 2019. US patent 10,225,509 was awarded for the extrusion and casting method our team developed to create metal enclosures for our digital multitouch tables and displays. 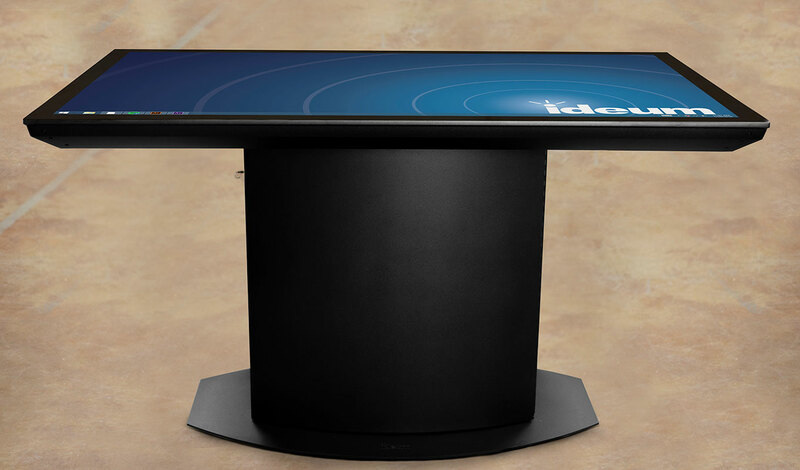 Ideum is known for creating versatile touch tables and walls based on 24/7 rated LG 4K commercial displays and industry-leading 3M™ touch technology. 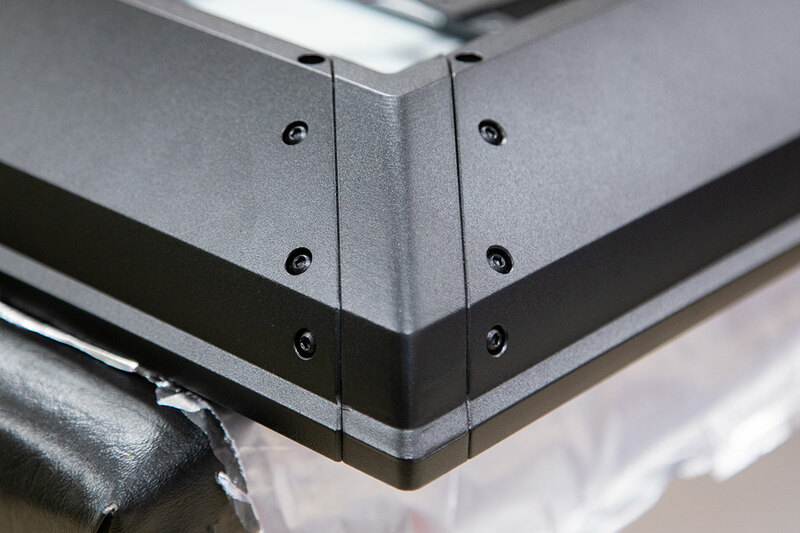 Our now-patented fabrication method establishes a new standard for mounting those displays in the most durable and elegant cases available anywhere. In 2016, Ideum’s Industrial Design team identified a number of critical points during the manufacturing process that could be reimagined to build a better, stronger product. Our skilled designers then spent months working closely with exhibit technicians in our workshop to develop a completely new touchscreen design focusing on manufacturability and streamlining assembly. The new design uses aluminum castings to form the metal corners of our display frames, while extrusions are cut to length to form the sides—similar to a picture frame, only much more rugged. Sheet metal is then used for mounting and support of the display’s internal electronic components. This new design not only eliminates many manual labor operations during the fabrication process, but it also increases Ideum’s overall quality standards for fit, finish, and durability. Ideum products are designed and built in the USA. 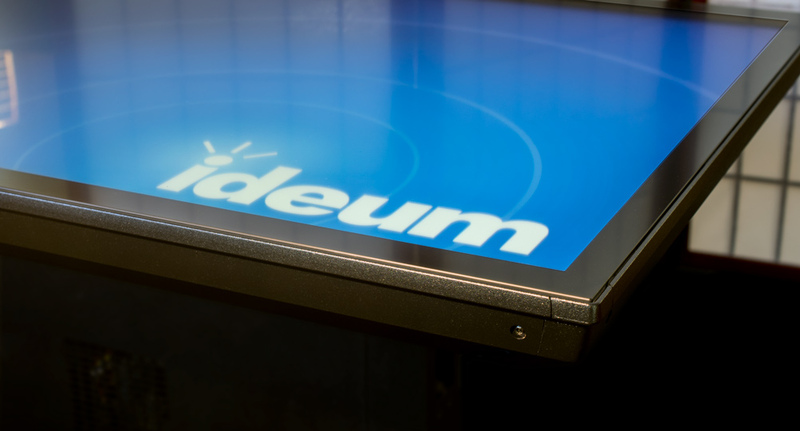 Since Ideum began designing and manufacturing durable, high-quality multitouch tables in 2008, we have become a leading innovator in the premium touchscreen market, and we are always striving to integrate proven new technologies and improved components as they become available. For more information about our products, please explore our Products page or contact our Sales group. Ideum’s patented display manufacturing method supports a variety of screen sizes. 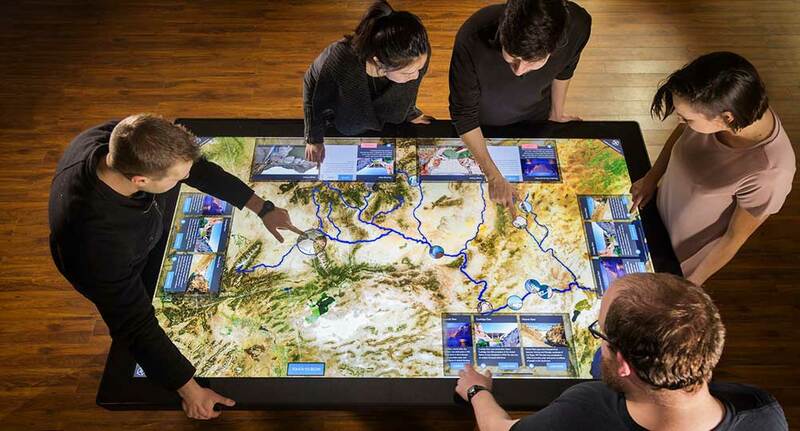 A Colossus 86” touch table is shown here. 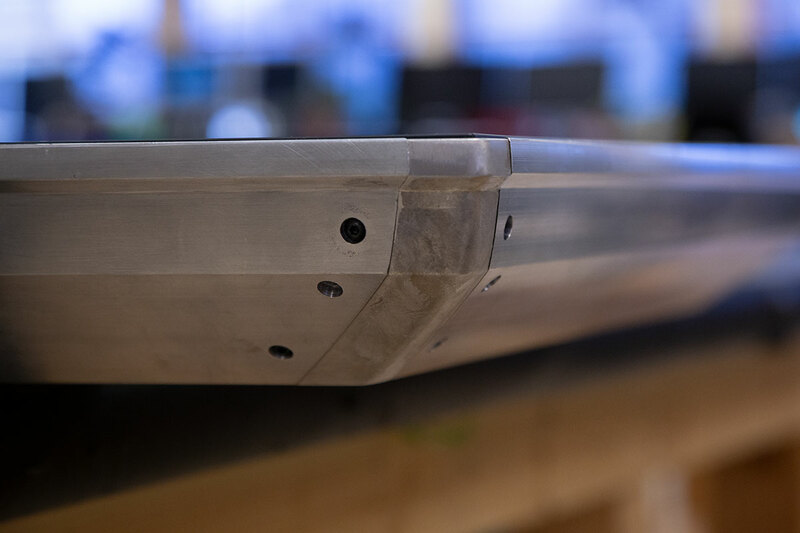 The raw metal is assembled to create a ruggedized frame. When complete it will receive a durable powder coat finish. 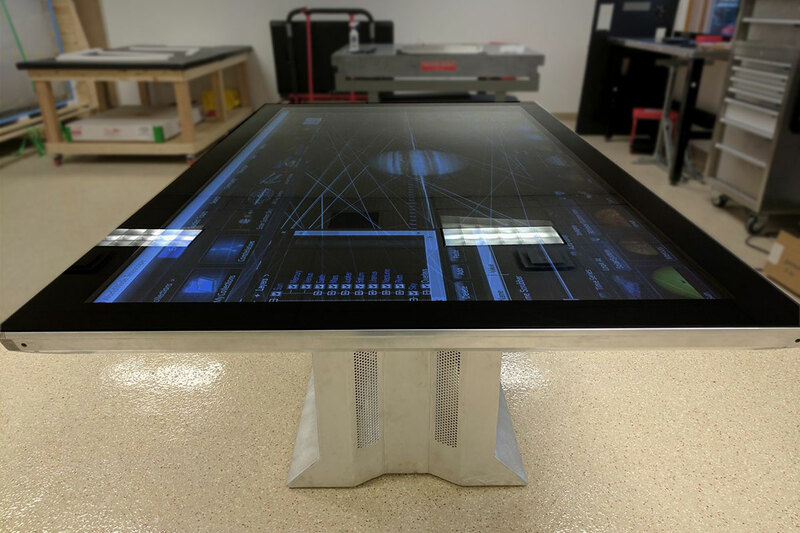 Our patented design means heightened quality for our multitouch tables and displays, which are superior to any other touch products on the market. Ideum touch tables are crafted from aircraft-grade aluminum, making them strong enough for the world’s busiest public spaces.